The Honda Goldwing is a one-of-a-kind machine. A vehicle that surpasses the boundaries between a premium motorcycle and a luxury automobile, the Goldwing has amenities that’ll put a Cadillac to shame, including a heated lounger at the back, satellite navigation, and an audio system that’ll blare music for your fellow motorists on the road. Also, it’s probably the only motorcycle that has a reverse gear, because it’s massive, almost like carrying a luxury apartment on two wheels. 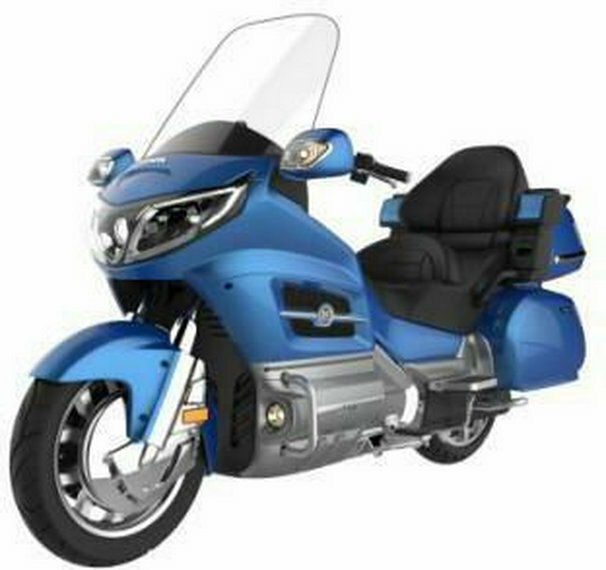 The Goldwing is powered by a 1.8-litre, flat-six engine that is necessary to haul such mass around. The Chinese, masters at vehicular (and pretty much everything else ) plagiarism, saw the opportunity and went for it. 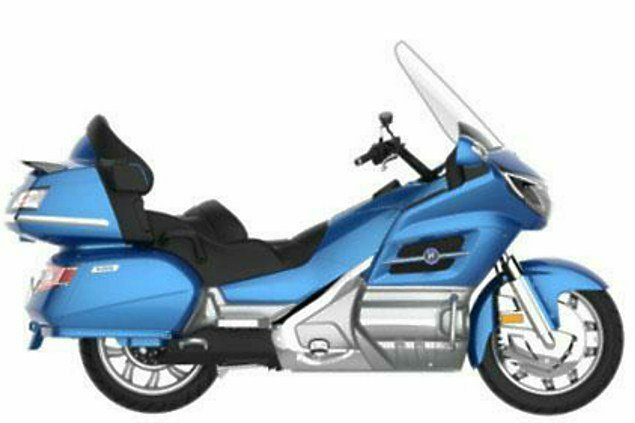 These low resolution, patent images represent a Honda Goldwing clone from China, except that it’ll be electrically propelled. The handiwork of Chinese electric vehicle manufacturer Jiangsu Xinri, the upcoming motorcycle clearly emulates the big Honda. However it’s not an inch-perfect copy, as some elements, including the headlamps are slightly different. From the looks of it, the body, saddle, handlebars, wind screen, side boxes, all bear a resemblance to the Honda Gold Wing’s assets. Of course, being an electric motorcycle, it needs batteries, which are concealed behind the plastic casing masquerading as the flat-six engine. It’s supposed to be a touring motorcycle, with the range of an urban e-slicker. Oh, the irony!